Finding the best scope for a .17 HMR rifle can be a challenge. The reason why it is a challenge is because of the numerous models available. We will be looking at the top five scopes available on the market that work really well with rifles which can fire the 17 HMR cartridge. What Style of Shooting is a .17 HMR Used For? The .17 HMR is used for mid-range small game and varmints. The velocity of a .17 HMR is ideal for those hunting for rabbits, raccoons, and possums from at up to 200 yards. The energy of the .17 HMR may be so high, that it can be too destructive for small varmints like squirrels. At 50 yards, an it can be used for larger game like coyotes and hogs. The .17 HMR is a round that is typically used for plinking. What is the Range of a .17 HMR? Typically, some hunters that use .17 HMR compatible rifles have said that they have managed to successfully hit their targets from 100 to 200 yards out. However, the most effective range this weapon can reach is anywhere between 250 to 300 yards. After 200 yards, it has a drop of 8.47 inches compared to a .204 Ruger that had a drop of 1.6 inches after the same distance. Simply put, you should find one that is durable through many shots. A good scope also needs to sustain a lot of impact over the course of its lifespan. Most products are made with durable materials to ensure that they are shockproof, meaning they can sustain a lot of impacts. One that can still hold zero after firing 100 or more rounds is considered to be a good quality product. Having a rifle with a good amount of eye relief is important. When your gun recoils, it can be cause quite a bit of pain when it hits you right in the eye. You don't have to look too closely into your scope in order to get a good sight. Remember this while you're searching: the more magnification it has, the shorter the eye relief. Finding one with excellent optics should be high on your list of priorities. Not only do you need a clear sight, but you also need one that will allow your sight to be brighter than the light conditions you might be in. Whether it’s dawn or sunset, the product you want will allow you to see your target without having any trouble distinguishing what is on the other end. No longer will a lack of light make you hesitate to take the shot. The first product on our review is the BSA Sweet 17 Rifle Scope. This comes with a side parallax adjustment and a multi-grain turret that is calibrated for bullets like the .17 HMR. If you’re not buying an amazing product like this, then you are missing out on a wonderful relationship between you, your gun, and the optics of this scope. This also comes with ¼ minute click adjustments that can help you deliver the best accuracy no matter the distance. If you want the best in eye relief, you’ll be happy to know that the BSA Sweet 17 has an eye relief of 4 inches. If you want a product that has a decent magnification range, then you might like the BSA. As mentioned earlier, greater mag item. If you want the best in great magnification and a clear view without having to inch your face closer to the scope, get the BSA. It's no surprise to see a brand like Nikon with a scope for a .17 HMR. The one word that comes to mind when you hear the name Nikon should be clarity. Well, that's because they have the clearest optics on the market. This offering will give you extremely bright sighting and high-resolution images, even in the worst conditions. This means that even if it's snowing or raining, you will still get a clear shot no matter what. The fully multi-coated lens offers an increase in light transmission to ensure that you can see your targets whether it's dawn or dusk. And whether you're deep in the forest or out in an open field, the Nikon Buckmasters II offers versatile magnification that will give you the flexibility you need in any hunting setting. It is also equipped with a patented BDC reticle that offers an incredible advantage for long range shooting, but at the same time allows normal picture sight for short-range shots. If you’re a deer hunter that uses a .17 HMR rifle, the Nikon Buckmaster II is the item you’ll want. If you’re looking for the clearest of clear, then the Nikon might be the surefire choice. Not only will it give you the best clarity, but you will also see with plenty of light even if there isn’t much of it outdoors. If you want a device that can get the job done at either a short or long ranges, go with the Nikon. 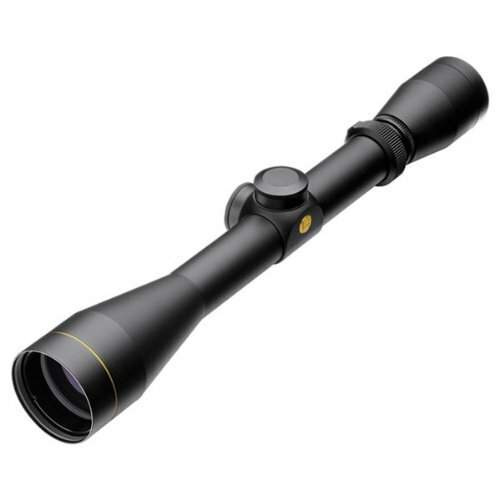 Leupold is another great brand for those looking for a reliable .17 HMR scope. This item comes with a 3:1 zoom ratio erector system that will give you versatility in any hunting situation. Whether you're in the forest or out in an open field, you'll have the exact zoom setting ready at a moment's notice before taking your shot. Leupold takes pride in creating a product that can last you a lifetime. It is waterproof, fog proof, and can take on the worst weather conditions. The Multicoat 4 lens system provides the best edge-to-edge clarity of the visual field. Plus, you can still get a bright sight even if you're in the lowest of lighting conditions. Finally, this product is equipped with a ¼ MOA precision finger click adjustment for windage and elevation. Another great feature is the FireDot Ballistic reticle, an illuminated reticle that utilizes a 200 to 300 yard zero with additional aim up to 500 or 600 feet. The two major things that stand out with the Leupold are its ability to switch to three different magnification levels and that it lasts a long time. Even better, you can still see through it even after dark. If you're a night hunter that uses a .17 HMR, there's a good chance that this product might help you out in the long run. Picks up a lot of light, no matter how low the light levels are. Bushnell is yet another great brand. This item is a low-light riflescope with a 4x to 12x magnification and 40mm objective lens. It is equipped with a Multi-X reticle and a ¼ MOA adjustment for windage and elevation. Whether it’s the break of dawn, dusk, or something in between, you’ll get a clear, bright sight thanks to the Dawn & Dusk brightness multi-coated lenses. For your .17 HRM weapon that has the ability to kick, this device has an eye relief of three inches so you won’t have to worry about it hitting you in the face each time you fire. It also has a fast focus eyepiece that will allow you to quickly lock onto your target every time. The scope is guaranteed to be 100-percent waterproof and fog proof, so you get a clear shot every time, even in wet and rainy conditions. One of the best things that stands out with this product is that you can see through it as if the sun never went down. Like the last offering, it might look like you’ve equipped night vision. If you want a scope that will allow you to see your target clearly long before the sun goes up or after it goes down, the Bushnell might be your best hunting buddy for your .17 HMR-compatible gun. Finally, we have the Vortex Optics Crossfire II. We can't get through a scope review without mentioning this brand in particular. 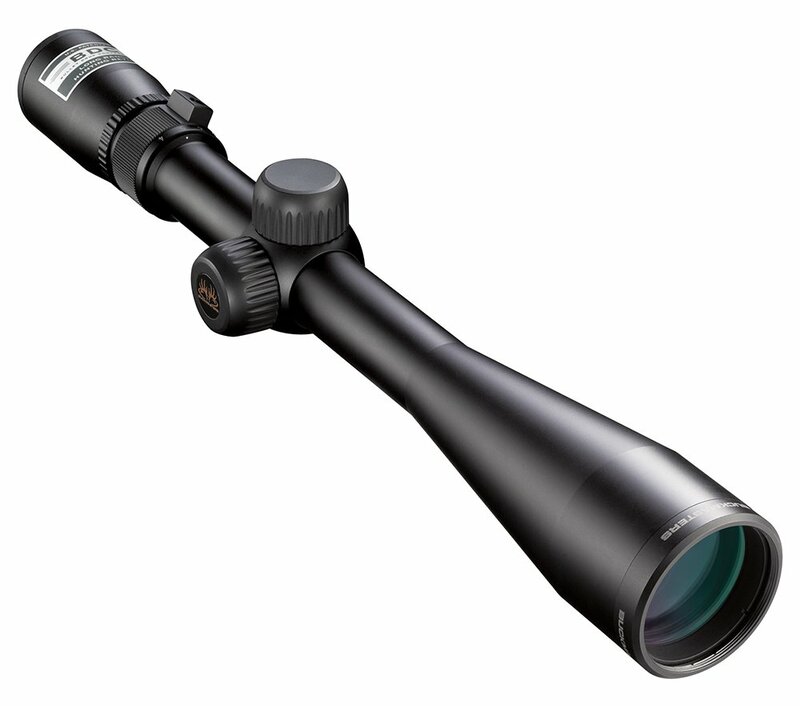 When it comes to scopes, Vortex is the name that is synonymous with high quality and durability. That's because it is created from aircraft-grade aluminum to ensure exceptional strength and 100 percent shockproof ability. The device is O-ring sealed and nitrogen purged to ensure that it is waterproof and fog proof. Whether rain or shine, you will always have a clear view. This product comes with a generous amount of eye relief that will quickly get you an unbelievable sight picture. With this product, you'll even get your target locked on as quickly as possible. It also comes with capped reset turrets that are finger-adjustable and can be reset to zero after you’ve sighted in with your scope. As always, the Vortex is backed by a lifetime warranty. If you want a scope that is super strong and designed to last you a long time, then the Vortex may be your best choice. If you’re familiar with scope brands, then you know Vortex is a good brand. 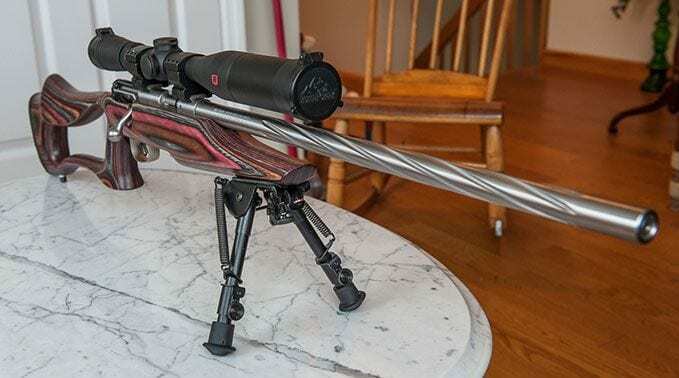 But it might not be the best for everyone with a .17 HMR, however, if you want excellent durability and a clear shot every time, the Vortex may be right for you. With the lifetime warranty, it may end up being the last scope you’ll ever own. Finding a scope for a .17 HMR doesn't have to be difficult. If you want one that can allow you to hit your targets accurately from as far up as 300 yards, you'll need a scope that will make sure you get it done with every shot. Remember, not all scopes are created equal, but they serve the same purpose of giving you a clear shot each time you're out hunting or target practicing. So choose one you know will serve you well in the long run after shooting so many rounds. First Focal Plane vs. Second Focal Plane: What’s Right For You?